Our Solar System is composed from the sun along with the planets Mercury, Venus, Earth, Mars, Jupiter, Saturn, Uranus and Neptune. The Solar System has been formed about 4.6 billion years ago, the sun equals about 98-99% of the Solar System mass while the mass of the 8 planets that orbit around the sun equals only the left 1%. 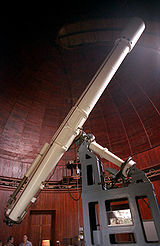 The Telescope is the instrument that allowed the scientists to monitor the planets and discovering information about the solar system. In the year 1608, the first telescope was a refracting telescope it was made by Hans Lippershey (1570-1619), Zacharias Janssen (1580-1638) the Dutch lensmakers and Jacob Metius (1571-1631) The Dutch spectacle specialist. In the year 1609, Galileo Galilei (1564-1642) the famous Italian physicist, mathematician and astronomer improved the telescope. In the year 1668, Isaac Newton (1642-1727) the most famous English physicist, mathematician and astronomer built the first practical reflecting telescope using mirrors instead of the lenses. In the year 1733, the achromatic lens was invented by Chester Moore Hall (1703-1771) a British inventor. 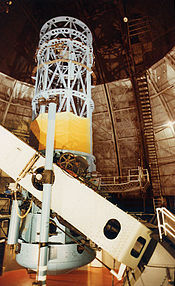 The achromatic lens made the telescopes more practical. In the year 1857, the silver coated glass mirrors were introduced by Léon Foucault (1819-1868) the French physicist with Carl August von Steinheil (1801-1870) the German inventor, the silver coated glass mirror was considered a great improvement in the telescope. In the year 1931, Karl Guthe Jansky (1905-1950) the American radio engineer researchers on the astronomical radio source led to the invention of radio telescope. Infrared telescopes which uses the infrared light was invented due to the invention of germanium bolometer by Frank James Low (1933-2009) the American physicist in the year 1961.